Instructions for a tradeetional paper plane. 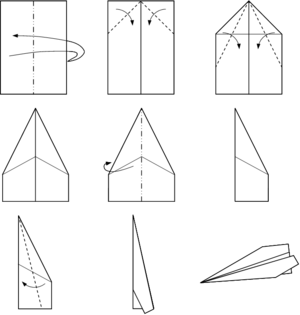 A paper plane, paper aeroplane, or paper airplane is a toy aircraft, uisually a glider made oot o paper or paperbuird. This page wis last eeditit on 8 September 2015, at 00:09.